Finding the best printer for Mac computers isn’t nearly as easy as some may think. Given, most printers that are good for Windows computers are good for Macs just as well. But there is a huge if here. The problem is: the best one for a PC may turn out to be the far from the best printer for Mac. Why? Well, because of the drivers. You see, oftentimes, drivers for different operating systems are designed by different people. And that doesn’t quite work out the way some would like. Printer software has always been buggy, clunky, or downright strange. To me, a user that’s been let down by printers one too many times, the tools that a printer comes with are from that weird corner of the programming world. It seems that these programs were designed by people who just got fired from making video games. Why? Because printing a single sheet of paper is more often an overly complicated quest than a trivial matter. So, one can easily predict the problem with Macs. As you may have gathered by now, looking for the best printer for Mac doesn’t mean just looking at the online shelf and picking one up that has Mac compatibility. It’s not even a question of entering the Apple store and getting input from an Apple Genius. It’s about the specs and, more importantly, about the software. Poorly programmed driver suite. Load up the printer’s dedicated program on your Mac before buying the printer. If available, use a Windows PC to do the same. Compare the two versions of the program and if the Mac one is worse, chances are that it’s been designed by an aspiring programing high-school student. PostScript emulation. If you’re a graphic designer and like to use programs from Adobe’s Creative Suite (such as Photoshop, Illustrator, and many others), chances are you’re going to need a very, very good printer. Adobe uses PostScript to successfully print the incredibly high-detail images that its users create. Because most professional printers are designed for Windows, Mac versions often use the PostScript emulation. However, the best printer for Mac must be compatible with the true version of PostScript. Wireless connectivity. The more we talk about printers, the more we talk also about wireless connections. Frankly, I’m surprised that not all printers today have wireless connectivity. This is no longer a question of convenience – it’s a question of ease-of-access and of plug-n-play. Wireless connectivity yields the same results as USB when it comes to printing, but a printer’s communicates much easier via a wireless connection than through USB. Keep this in mind and look for the best wireless printer for Mac. All-in-One functions. The best all-in-one printer for Mac will most probably also be the best printer scanner for Mac, the best laser printer for Mac, and even the best photo printer for Mac. So you get maximum specs – all in a single device. And chances are that multifunction printers will also support both Wi-Fi connectivity, as well as PhotoScript and What more could you want? PhotoScript and Bonjour compatibility. We’ve talked about PhotoScript above and we’ve said that only the best of the best printers for Mac will know how to read PhotoScript. However, let’s talk about Bojour. Bonjour is Apple’s all-mighty software that says: “we get rid of bad printer software.” Noticing not only that printer manufacturers had problems providing Apple software, as well as the poor quality of the software in general, Apple decided to make their own version that can deal with printers. But still some printers are stubborn and refuse to work with Bonjour. Watch out for these – they’re far from being the best printer for Mac. So, have you made your pic? 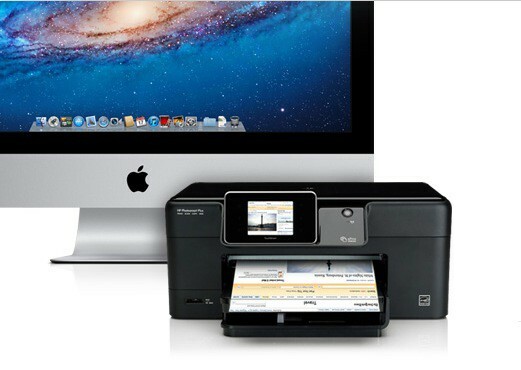 Let us know in the comments which is the best printer for Mac for you! Also, if you have problems with your printer, feel free to complain about it here – maybe it will warn some potential buyers and save them some peace of mind.